Daniel A. Carrasco, M.D. was born and raised in San Antonio, Texas. He specializes in general medical, cosmetic, and surgical dermatology. During his residency and fellowships, he was a con-investigator in over 50 clinical trials, has published over 25 scientific manuscripts in medical journals, and has written three book chapters. 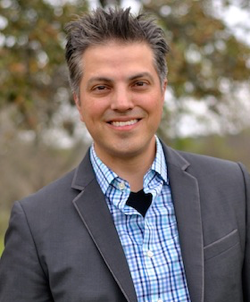 Dr. Carrasco attended St. Mary's University, graduated with honors in biology, and further his education at the University of Texas Medical School at Houston. After Dr. Carrasco completed his internship in Internal medicine in Houston, he accepted a position as a dermatopharmacology clinical fellowship at the University of Texas Branch at Galveston. From there he was recruited to complete a fellowship at the Mount Sinai School of Medicine in New York City. There he supervised the clinical trials unity in the dermatology department. He moved back to Houston in 2005 and has been practicing medicine in Texas ever since.